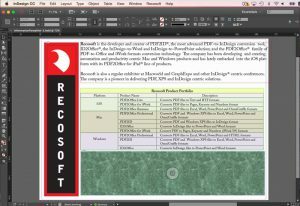 PDF to InDesign conversion plug-in. "PDF2ID and ID2Office help save our Creative Cloud customers countless hours and allows them to focus on what really matters, their creative work. They help automate workflows and enable collaboration by making conversions between PDF, InDesign and Office seamless"
PDF2ID converts PDF, Adobe Illustrator1 and Windows XPS files into fully editable Adobe® InDesign® (INDD) files. PDF2ID is the industry leading PDF to InDesign conversion software for Graphic Designers, Publishers, Printers and Creative professionals providing the most accurate conversion. 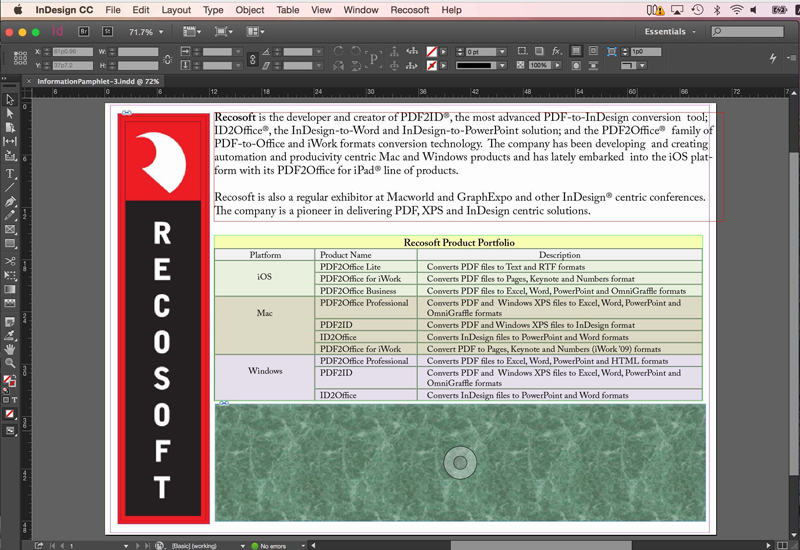 PDF2ID can be used to recover lost InDesign files; convert FreeHand, Corel, Publisher and other types of files to InDesign; and reuse archived data saved as PDFs with a simple click. Video showing How to convert PDF to InDesign using PDF2ID 2019; the PDF to Adobe InDesign converter that Adobe recommends. Batch convert PDF to Adobe InDesign (indd) type. Select multiple PDF, Illustrator (.ai) or Windows XPS files and PDF2ID converts them to fully formatted and editable InDesign (indd) format in seconds. PDF2ID operates with Adobe InDesign CS4, CS5, CS5.5, CS6, CC, CC 2014, CC 2015, CC 2017, CC 2018 and CC 2019. 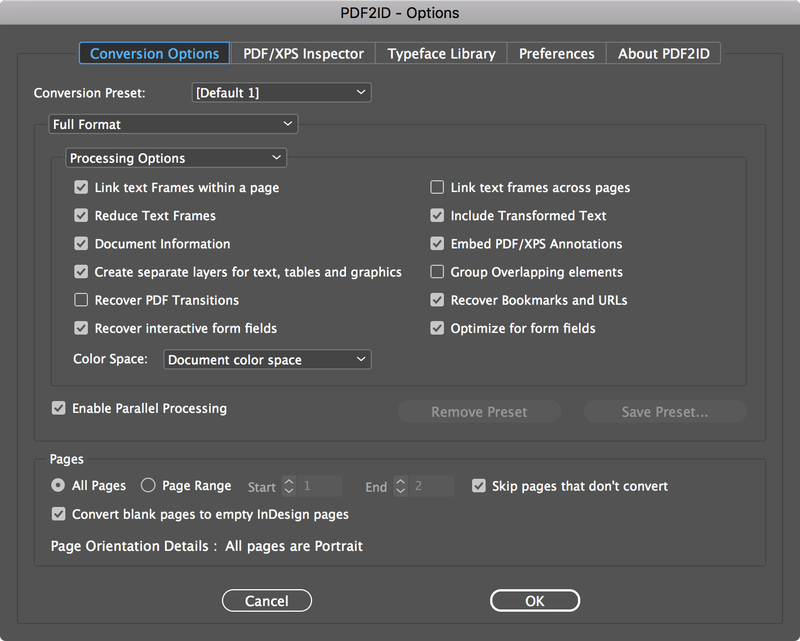 PDF2ID converts every page in your PDF, Illustrator or XPS file to an equivalent page to the resulting InDesign document. PDF2ID re-creates the layout of the document by forming paragraphs; applying styles; regrouping graphic elements; extracting images; creating tables; recovering PDF annotations and other elements. PDF2ID provides options for converting or extracting just the text, graphics or annotations in a PDF, Illustrator or XPS file also; or you can convert the entire document to InDesign format. PDF2ID is a Adobe InDesign plug-in allowing anyone to recover and reuse the contents of PDF or XPS files resulting in huge cost savings in both time and expense. 1. Illustrator files need to be saved with the PDF compatibility option. Note: Layout reconstruction varies depending on document and may not be 100% accurate. PDF2ID does not support user-defined dictionaries embedded in PDF files. Moreover, PDF2ID does not perform Optical Character Recognition/Analysis. Scanned pages of printouts stored in PDF documents are usually images. PDF2ID therefore treats such data as images. It also does not process PDF forms, graphics filters, 3D data in PDF files, JBIG2 images and certain graphics operations. 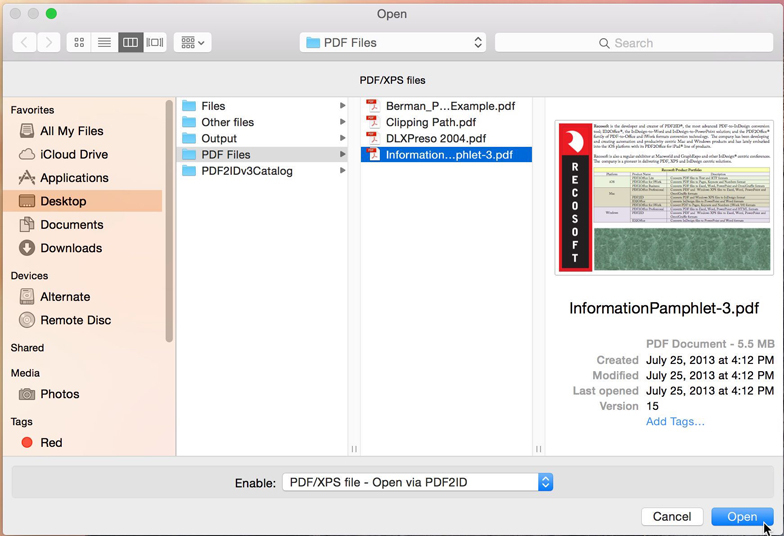 Finally, PDF2ID doesn’t process externally linked files or embedded fonts. PDF2ID is a registered trademark or trademark of Recosoft Corporation in the United States and other countries. Adobe and InDesign are either registered trademarks or trademarks of Adobe Systems Incorporated in the United States and other countries.